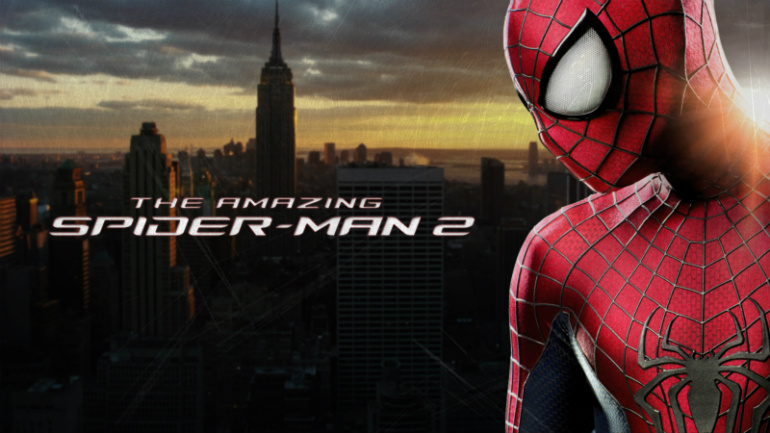 The sequel of the very popular super hero movie ‘The Amazing Spider Man 2’ is going to release worldwide on May 1. 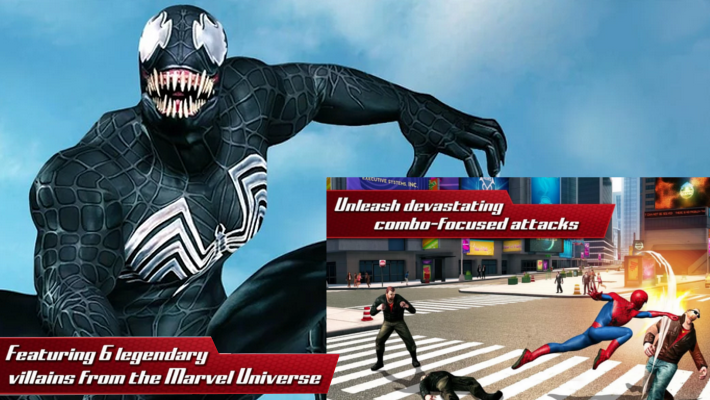 Just before the release of the movie Marvel has released its game for Android version 4.0+. Gameloft has designed this sci-fi game based on the movie. The Amazing Spider Man 2 game is now available at Google Play Store for $4.99. According to the Gameloft, it offers interface-like 3D graphics with HD voice experiencing cinematic scenes that will bring the movie experience to real. Experience a broad open-world map of Manhattan in 6 different locations from Times Square to Central park. Just imagine, all this makes for a rather large 1.2 GB game file. Gameloft has tried to convince that The Amazing Spider Man 2 gameplay is totally based on the real movie’s storyline which is going to release soon. They also combined Comics and other new known Characters to make it interesting like Screwbell and BlackCat along with the main villians from the movie the Green Goblin and Venom. Download this awesome game to help Spider Man to beat villians and street thugs throughout the expansive planet, and in Mysterio’s stage. Watch the video to know more about this high quality game, don’t forget to comment the gameplay. Click Here to go to Play Store Download page of this game. 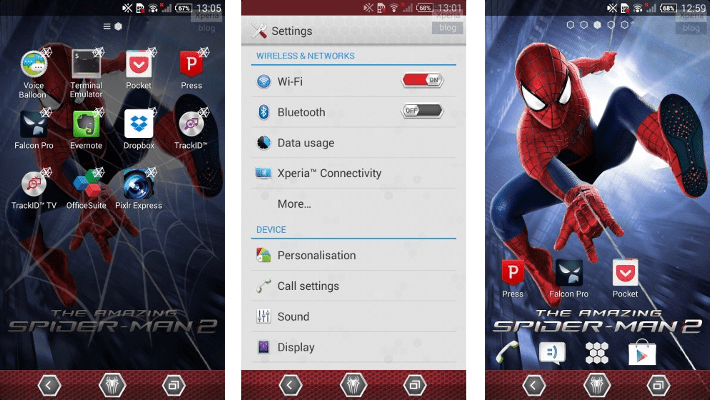 Along with the game launch of the next series of the Amazing Spider Man, Sony has also released a nice Spider Man theme for all Xperia users. Not only theme, even so many changes you can see after getting this such as system icons, Wallpaper, UI navigation tweaks and much more. Get this theme for free from Google Play Store.